Kim Kerry-Tyerman is a volunteer for Grameen Foundation’s Bankers without Borders® initiative who was based in Ghana and Kenya for eight weeks to help the BwB team develop relationships with local organizations (companies, associations, microfinance clubs and institutions of higher education) there. She recently posted a blog about her experience working in Kenya; an excerpt from that post is below, with a link to the full post. 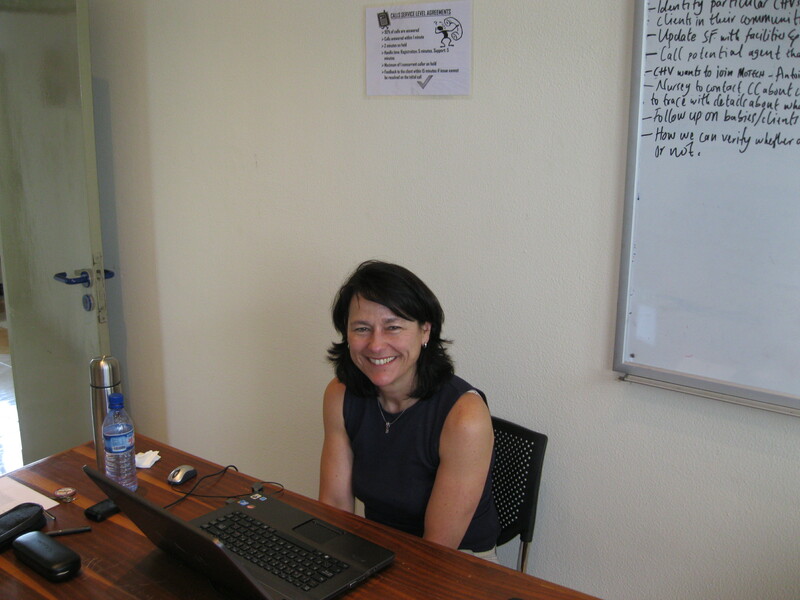 If you’d like to read her first two postings about her BwB experience in Ghana, you can read Part 1 and Part 2. Many find it difficult not to be condescending about Africa. Some might argue that referring to 54 diverse countries with thousands of cultures as “Africa” alone is demeaning, and yet it happens every day (just look at my blog address). Footage of kids with big bellies and stories of corruption seem to be the only stories to travel across the ocean, and they are typically only salvaged by some agency telling the world not to worry, they’re working on it. No, I am not immune. I’ve been known to lament the inefficiency of “Africa” while sitting in Nairobi’s unbearable congestion or one of Accra’s power outages. At the same time, I feel fortunate to tell a story that I hope will travel across these borders and demonstrate that “Africa” is indeed a place of innovation and hope. Exhibit at the National Museum in Nairobi. Nairobi is one of the continent’s star children: the one who may place third in the spelling bee but won’t mind because she has a good shot at winning the science fair competition. The region serves as a lab for innovative ideas, and the microfinance sector here is a great example. Like Ghana, each MFI in this region has varying models of delivery and a unique portfolio of products. Unlike Ghana, every MFI in this region has a website. Is this a key indicator of success? Surely not, but it indicates that microfinance is a visible and competitive industry here. Microfinance institutions here are not asking “what can we do?”, but “how can we do more?” For them, it’s not just about lending money. It’s about finding ways for that money to create things that generate a larger return for the community. Two trends have emerged here to ensure that microfinance is doing just that: mobile services and partnerships. Some of the principles are not particularly controversial or microfinance-specific – things like a commitment to transparency, innovation, being client-centered, investing in the human capital of employees, promoting gender equality and so on. Others are specific to microfinance, such as bundling financial and human development services wherever possible, measuring and managing social performance on par with financial performance, mobilizing loan capital locally (through savings or local currency borrowings), and local (or indigenous) ownership and governance. Among the latter, there are some thoughtful people in our movement (or industry, as some prefer to call it) who would disagree with the wisdom of these principles. I say that to emphasize that these are not meaningless slogans that everyone agrees on. Talking about principles and standards, and about our work to champion innovation that spreads them throughout the microfinance sector, can seem abstract at times, even though we are clearer than ever that this is how Grameen Foundation can have the greatest impact. Sometimes we find it helpful to focus on individual organizations that embody these principles and meet these standards, however imperfectly, to deepen our own understanding of how microfinance can evolve, and also further the understanding of people who support our organization in various ways. With microfinance coming under increasing scrutiny by regulators, the media and politicians, holding up pace-setting institutions is an important part of educating stakeholders about what microfinance can be, and arguably should be. 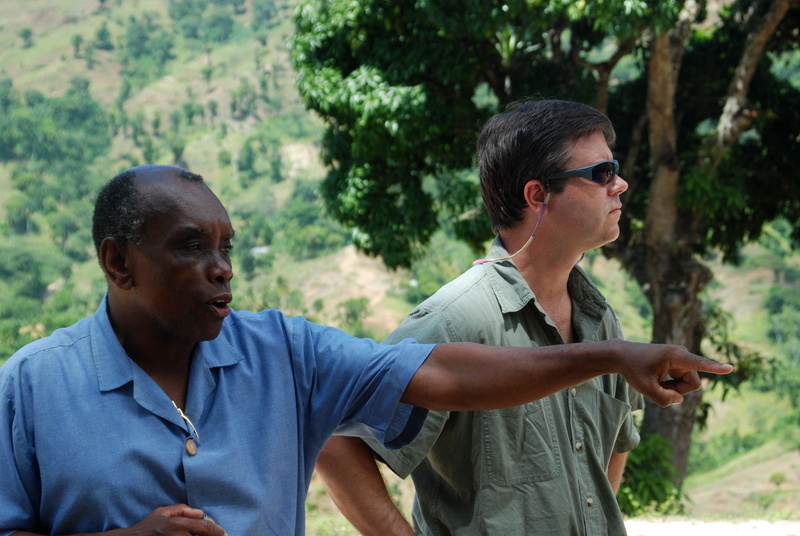 During his recent trip to Haiti, Alex met extensively with the borrowers and staff of Fonkoze, including founder Father Joseph Philippe (left). 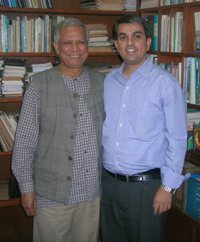 With my second sabbatical approaching (at Grameen Foundation we get one every seven years), I decided to pick one such organization and write a book about it for a general audience. It was not that hard to decide which one – I chose Fonkoze, Haiti’s largest MFI. It is a dynamic, innovative, risk-taking organization led by fascinating people – mostly Haitians and Haitian-Americans, but also a few Americans and Europeans – in a country that has been in the news in recently (for all the wrong reasons, unfortunately). It has also been a beneficiary of Grameen Foundation’s products and services for more than a decade. I began my sabbatical on June 16 and a few days later was down in Haiti – my fifth and longest trip yet to that sad and surprising country. Shortly before going, I began a blog that would chronicle the process of researching and writing the book, and invited people around the world to participate in the creative process. I have been posting short written reflections, photos and videos (most under two minutes) ever since. My goals for this project are aggressive. I want it to be a New York Times best-seller! (Why the heck not?) I also want it to generate significant new partners and funders for Grameen Foundation, Fonkoze and organizations that operate along similar lines. (All the royalties from the book will go to Grameen Foundation.) And I want it to change the narrative in the mainstream media from simplistic answers to the “what’s wrong with microfinance” question to more interesting analyses of how it is evolving in some places to be an even more potent poverty-fighting strategy than earlier models. I plan to have the book in stores by the third anniversary of the Haiti earthquake (January 12, 2013). Ambitious? Yes! But with new “friends” of this project coming forward every day – consider yourself invited! – it just might be achievable. 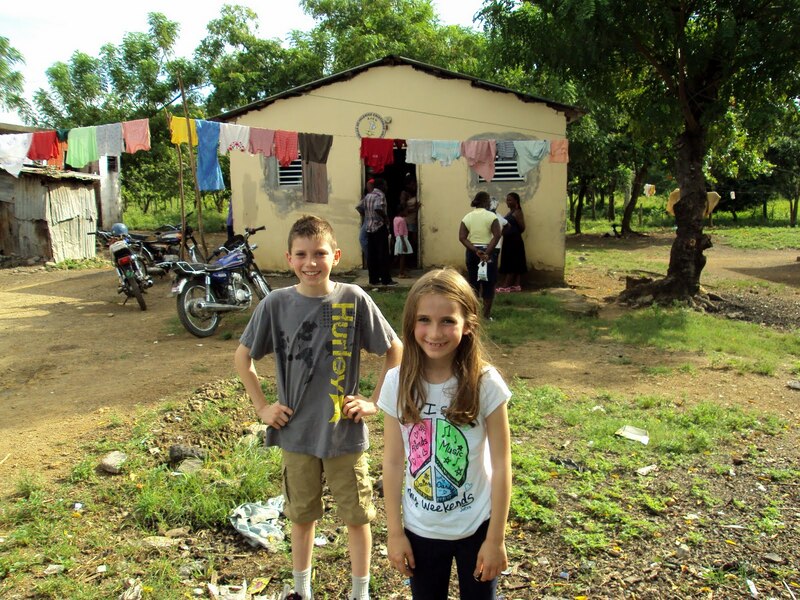 Along with several Grameen Foundation staff, the McCall Family – Jordan, Sarah, Ben, and Molly – flew to Santo Domingo, Dominican Republic to visit one of Grameen Foundation’s local Microfinance Institutions, Esperanza. 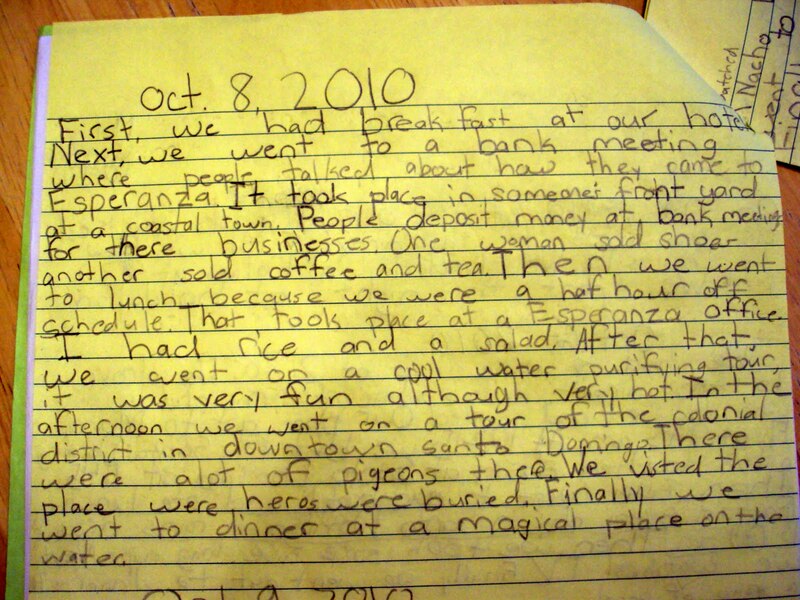 This is an excerpt from Molly’s journal she wrote for school about her experience in the Dominican Republic. At 1:30 pm our friends picked us up to go to the airport. First we flew to Dallas, Texas. We landed in Dallas at 9:30 pm. We spent the night at a Holiday Inn. We had to wake up at 2:30 am! We drove to the airport with some funny old ladies who laughed and snorted. Our plan got to Miami, Florida at 9:45 am. At 10:45 am we left for Santo Domingo. We touched down at Santo Domingo at 1:45 pm. Then we went to our hotel and ate lunch. Factoid: every day in Santo Domingo it rains around 3 pm. Then we took some nice long naps. Next, we watched TV. Finally we went out to dinner with a group of people. First we went on a bus to a bank meeting. Then we saw pigs. The owner of the pigs sells them for pesos. 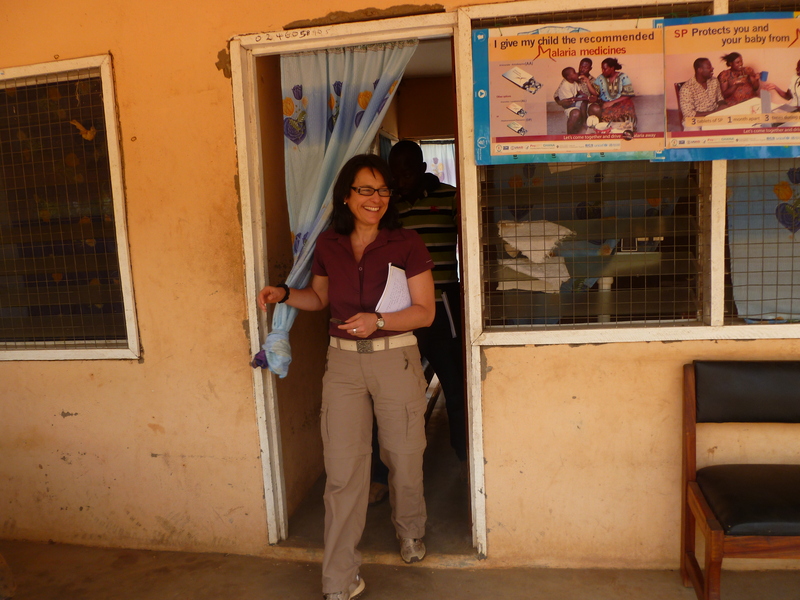 Next, we went to a clinic where people get help when they are sick. After that we went to a bank office and ate lunch. I liked the rice. After lunch, we went to a colmado which is like a little convenience store. Women borrow money from Esperanza to open them. Later we went to another colmado and a place that sold fried chicken. Then we went home. Then we went to dinner at an old colonial restaurant. Luckshmi Sivalingam is a Program Officer for Grameen Foundation’s Solutions for the Poorest program. Before joining GF, I interviewed fifty clients of a Nepal savings and credit cooperative as part of an impact assessment. I saw that particularly for those living in extreme poverty, the solution to changing their situations can’t be limited to providing access to microfinance’s traditional product: an enterprise loan. Nearly all the clients I spoke with said that if they’d undergone appropriate skills development or received training on value addition for the goods and services they were selling, then their microenterprises could have generated the additional income required for them to progress out of poverty. Sandra Adams is Grameen Foundation’s Vice President of External Affairs. During the first week of April several Grameen Foundation board members, other staff and I traveled to Kiambu, Kenya—about 45 minutes outside Nairobi—to see how local organizations are making a difference in the lives of poor families. Staff at the microfinance institution Kenya Entrepreneurship Empowerment Foundation (KEEF) and some of the MFIs ambitious borrowers welcomed us and shared their triumphs and challenges in the fight against poverty in their communities. Upon arrival, we had the pleasure of meeting the “Bright Vision” borrower’s circle. What a perfect name for a group on their way up out of poverty! They told us that they began as a small, informal borrowers circle (called a “merry-go-round” in Kenya) that provided loans and a place to put savings. The group then decided to join KEEF because they felt they could trust the MFI with their money. They can drop by the KEEF office anytime and staff there will show them their records. In the past year, Bright Vision has grown from 11 to 22 members. Their loans have funded a variety of businesses: a day care, a pub, a fruit and vegetable stand, a couple of cows, supplies for a storefront chemist’s shop, a breakfast porridge stand, and others. I was really impressed with KEEF’s loan officer Rosaline “Rose” Myra who services 35 groups. Rose is on the road constantly, usually traveling from group to group by matatu (the informal van service that links towns together). She loves Mifos because she no longer has to keep track of hundreds of loans on ledger sheets—the pre-printed loan/savings forms save her 30 minutes of work per group! 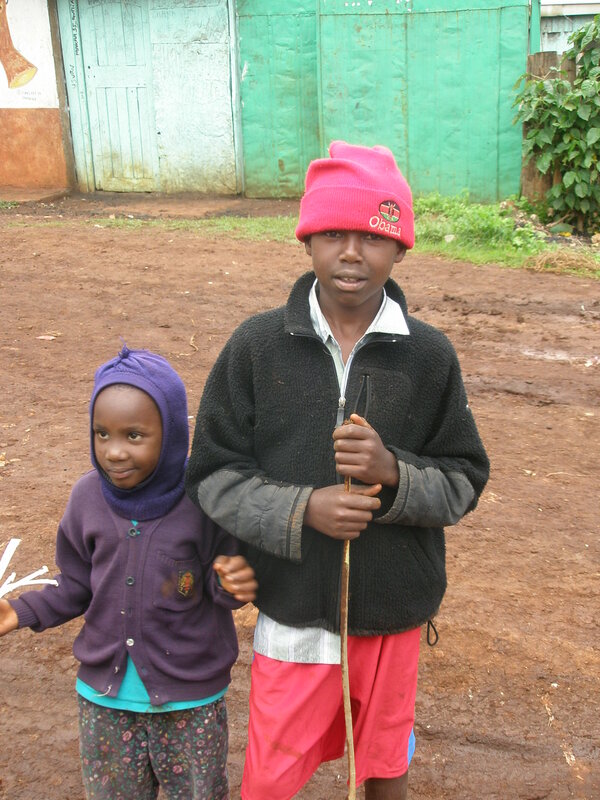 After saying goodbye to Rose and Bright Vision, we were off to visit borrowers Lucy and her niece, Teresia. Lucy’s home is a two-room wooden building with cement floors, a screened porch for cooking, and a yard for her goats and chickens. She is Member #1 of her group, “Manchester Banana”— “Manchester” after a popular sports team and “Banana” for the name of her town. Lucy bought goats with her first loan of 15,000 shillings (about $200), and she sells their milk, and sometimes their kids, for traditional Easter dinners. With her first profits, she bought chickens and sells their eggs. She was proud to show us the corn crib on stilts that houses the maize she also sells. Children in the neighborhood: the Obama hat made me feel right at home! 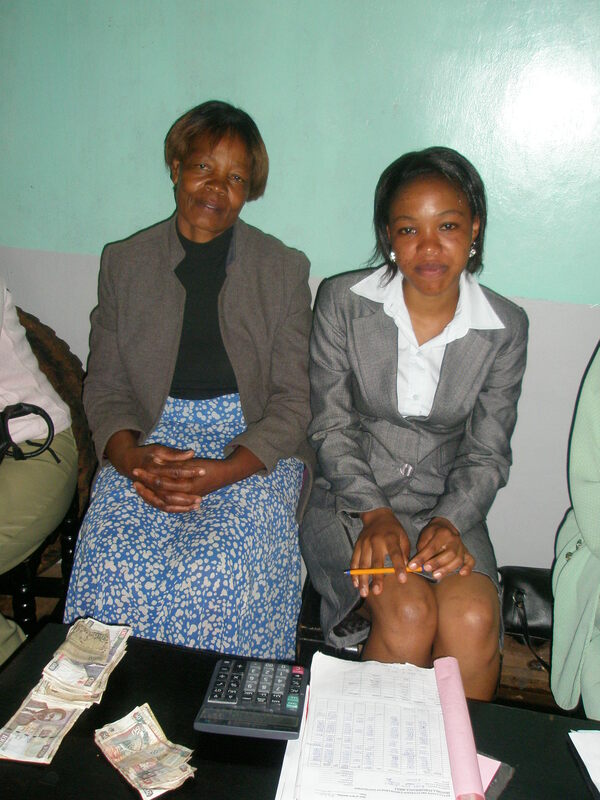 A huge proponent of microfinance, Lucy recruited almost all of the 28 women in her group! 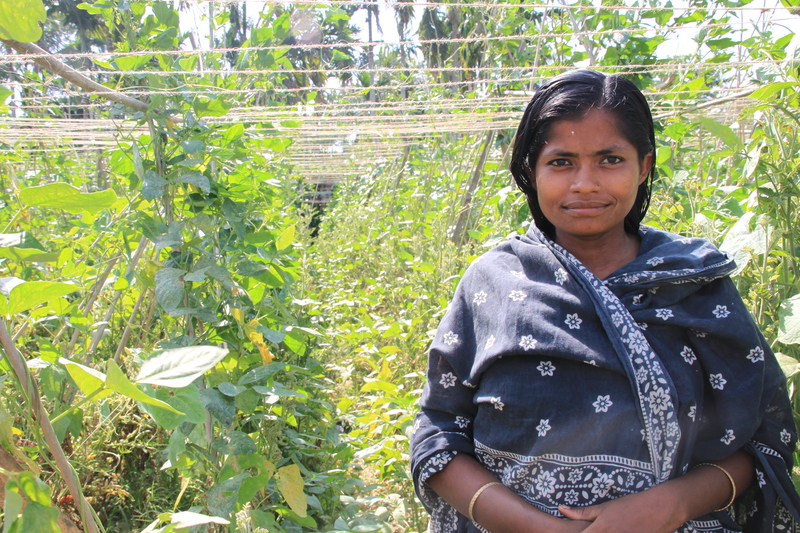 “I was really poor and I want to help other women so they can get out of their houses and so they don’t have to try to make a living being farmhands,” she told us. She helps new group members figure out good businesses to start. Lucy suggested Teresia begin selling detergent door-to-door because people can only afford to buy a small amount at a time. Teresia makes a profit of about $63 for each enormous pail she sells. Her goal is to bank some savings and start a small curio shop selling crafts from Uganda, her home country. Lucy has a big dream, too. She wants to buy the land next to her house and, with the help of her three sons, build 10 one-room houses to rent out for guaranteed income. I’m positive that with the work ethic and determination these women share, their dreams will come true in no time!